One of the oldest therapy, inhalation, was developed in one special room where scents and colors meet together. Inside the Tepidarium you can relax on comfortable, heated, mosaic chairs, in an ambience of diffuse lights while inhaling a mist of salt water spiced with citrus or eucalyptus. 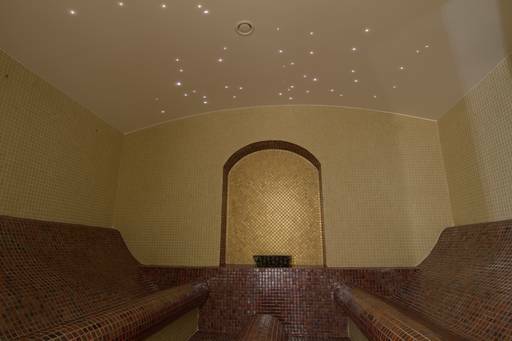 When you exit the Tepidarium, you can also use the two heated anatomic beds to relax even more.